NYC is Blue: "It's Up to You, New York" - Vote Early, Vote Often! 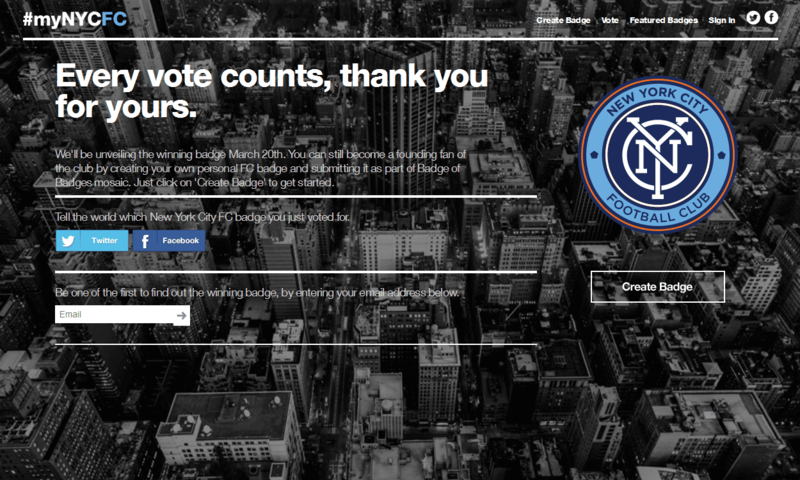 "It's Up to You, New York" - Vote Early, Vote Often! 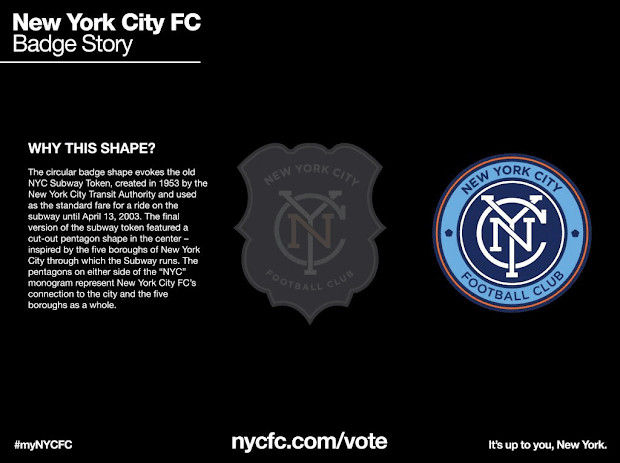 After a brief delay in the proceedings, the two potential NYCFC crests have been unveiled and the vote is on! 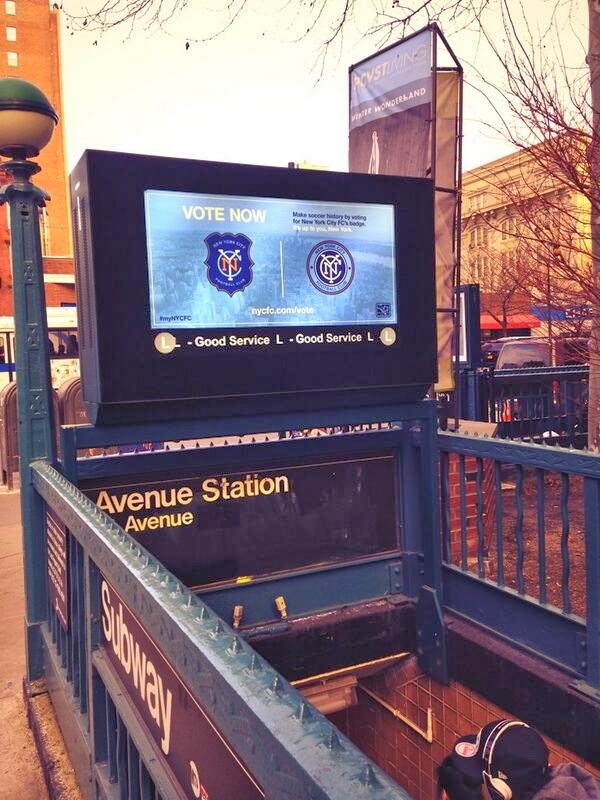 I'll have updates as we go along - but go vote now! 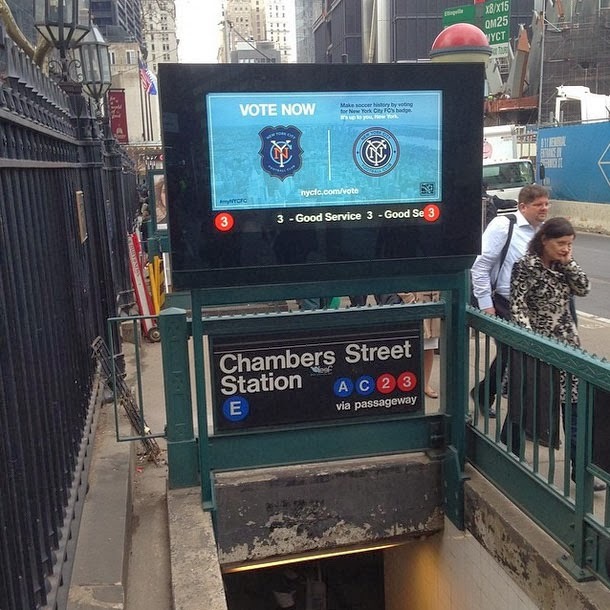 Vote Now: It's up to you, New York. 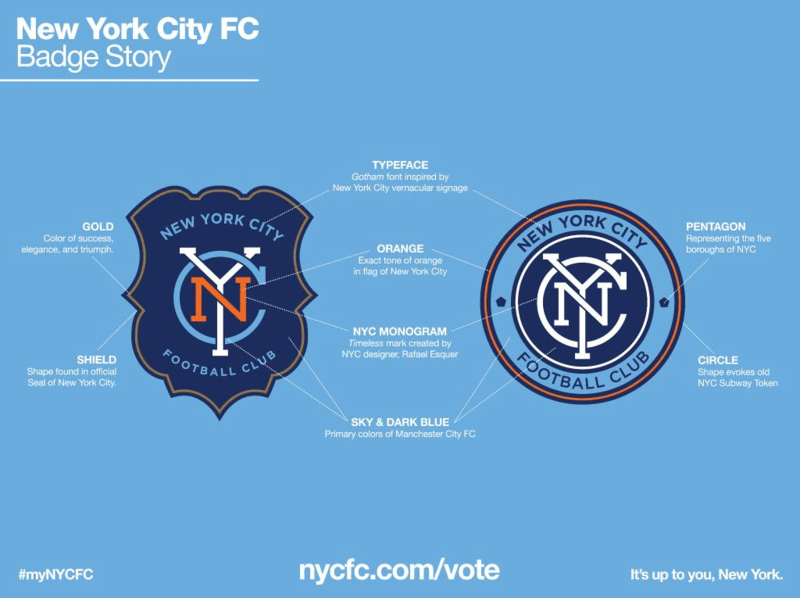 New York City FC announced today that it wants its fans to choose the Club’s official team badge as the Club counts down to its inaugural season which kicks off in approximately one year – March 2015. 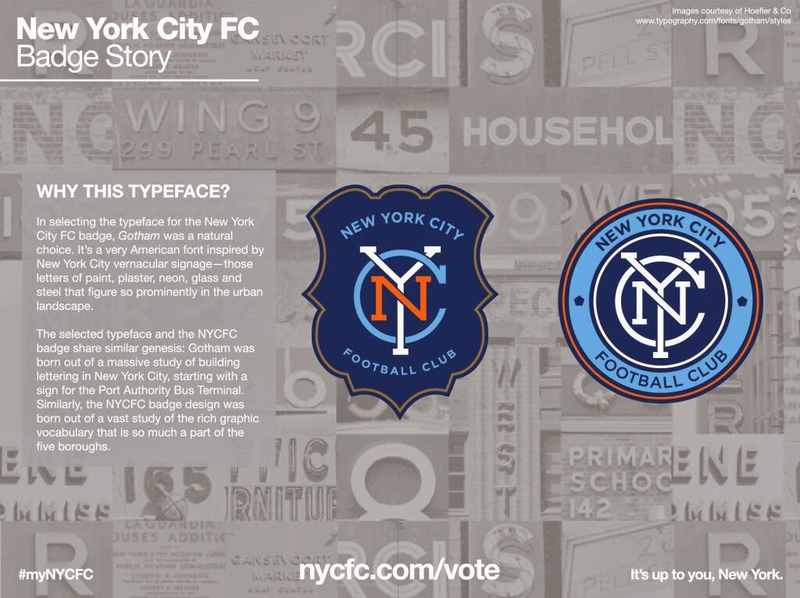 Starting today and ending on Thursday March 13th, fans will have the opportunity to vote on their preferred badge from two options, created by renowned designer Rafael Esquer and chosen by the Club. 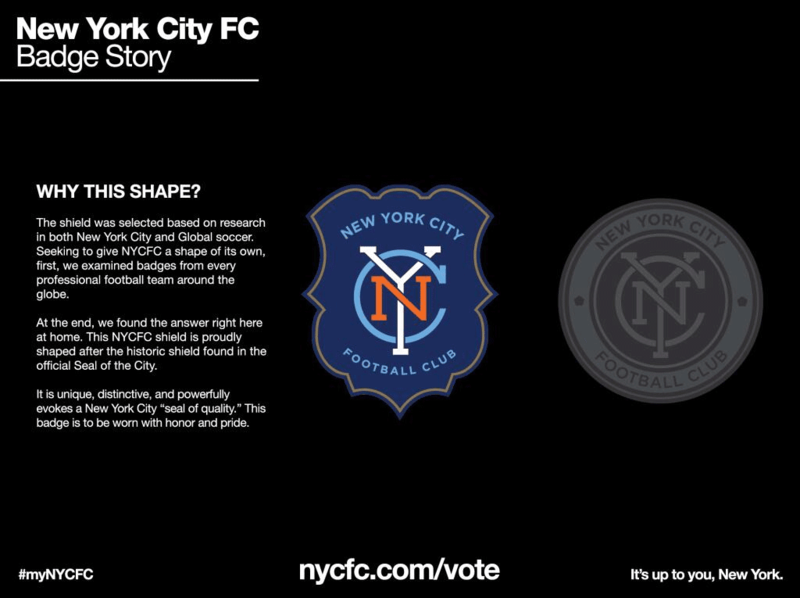 The badge that receives the most votes will become the bedrock of the Team’s identity and will be formally unveiled in New York City on March 20th. Urban artifacts like subway tokens and architectural details found throughout the city serve as inspiration for both designs. The two badges feature the typeface Gotham, a wholly American font inspired by the City’s signage. Born out of an in-depth study of building lettering in New York City, the monogram reflects the rich graphic language that is so much a signature of the five boroughs. 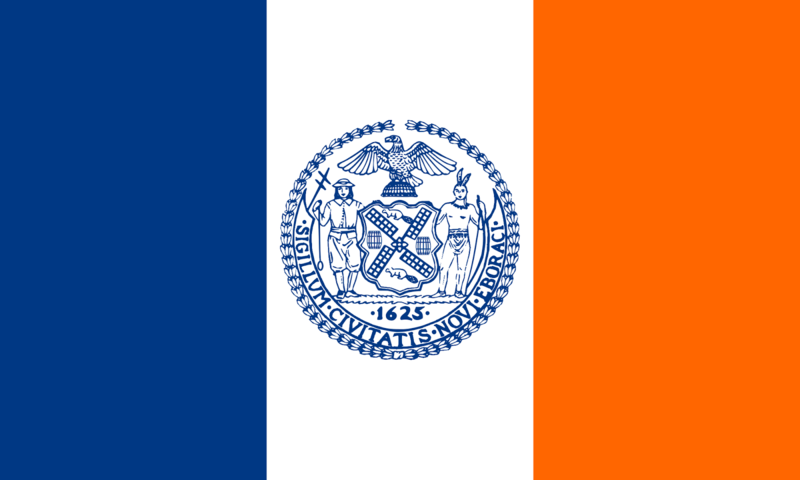 The colors navy blue, white and orange are drawn from the New York City flag. 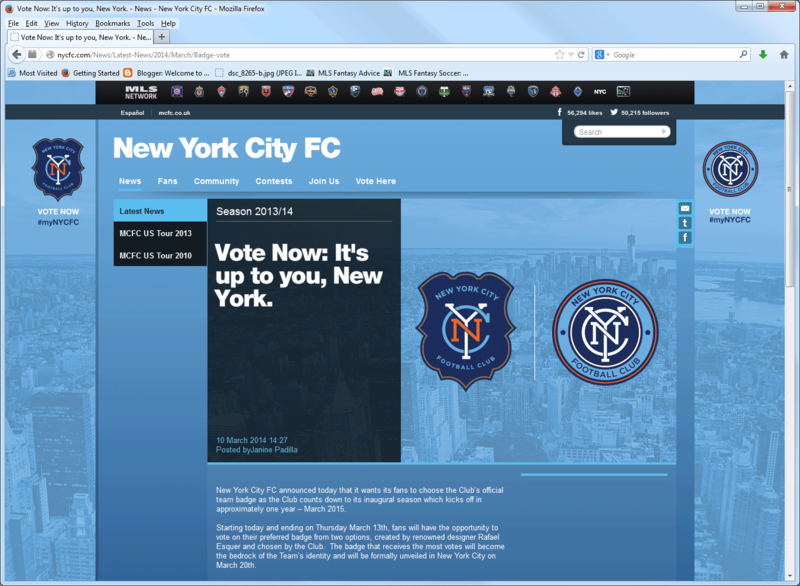 The two badge options above. Esquer is best known for his iconic “Made in NY” logo, representing New York City’s efforts to support local film and television production. His work also includes the newest logo for the Houston Rockets and national team uniforms for the 2002 Winter Olympics. 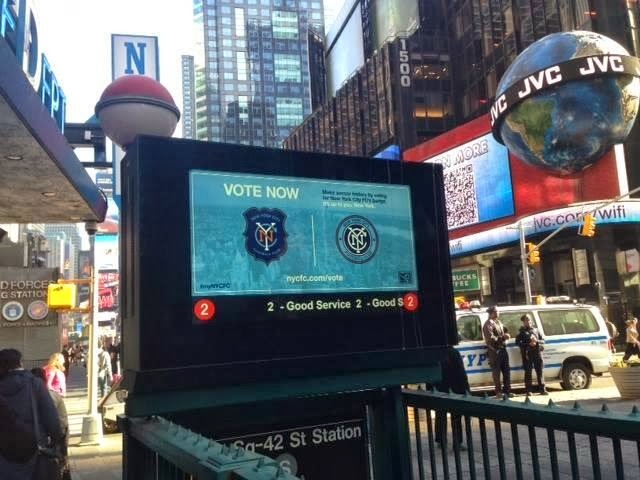 To vote on the preferred final badge, fans can simply log on to www.nycfc.com/vote. Voting will remain open through Thursday, March 13th. Fans also still have the option of submitting their own badge designs to become a pixel of the official New York City FC team badge mosaic to be revealed later this spring. 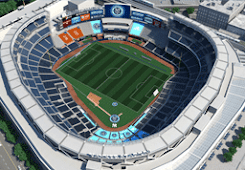 The final Club badge mosaic will allow fans to zoom in to find their own design permanently displayed within the shield. A physical manifestation of the mosaic will also be on display in the Club’s permanent facilities. Fans can design and submit their badges through New York City FC’s badge generation tool, known as the “badge configurator” at www.nycfc.com/mynycfc. The "Timeless Monogram", as they're calling it, will have to stand on its own. I don't like the multicolored version; the all-white is so much more striking and balanced. I am already a huge fan of the Gotham typeface, a bold sans-serif design designed in 2000 for GQ magazine. It was inspired by the mid-century signage the designer found while walking around New York, and gained national prominence in 2008 when the Obama campaign used it as their signature face. 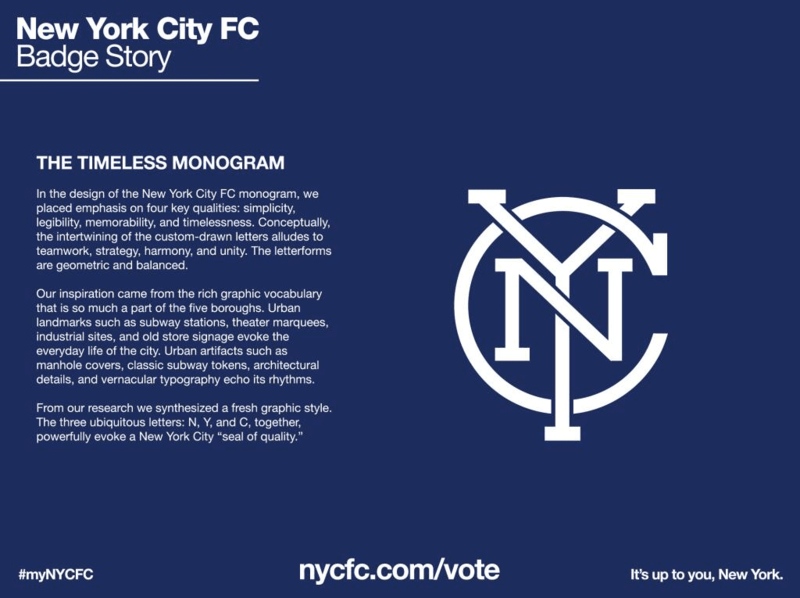 How appropriate that it should now be employed by the first MLS club to play in New York City, and it's only a shame that the club will be bound by the league's standard numbers and letters for the back of their shirts. And we also have details for the shapes. 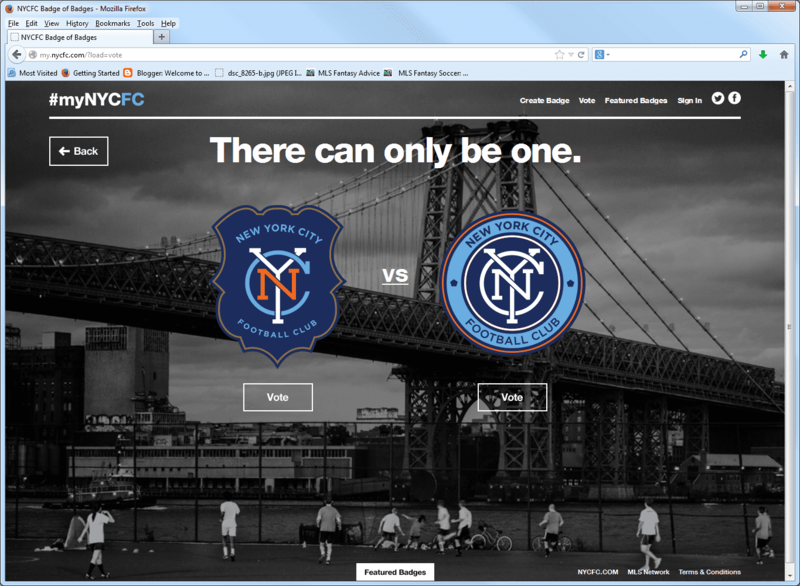 Nice callback to the flag of New York City. Although the current flag of the Netherlands is red, white and blue, the flag at the time of New Amsterdam was orange. Indeed, orange remained the national color of the Netherlands and features prominently today with their national football team. I'm not actually a huge fan of the orange, because it muddies up an excellent color scheme in the double-blues. 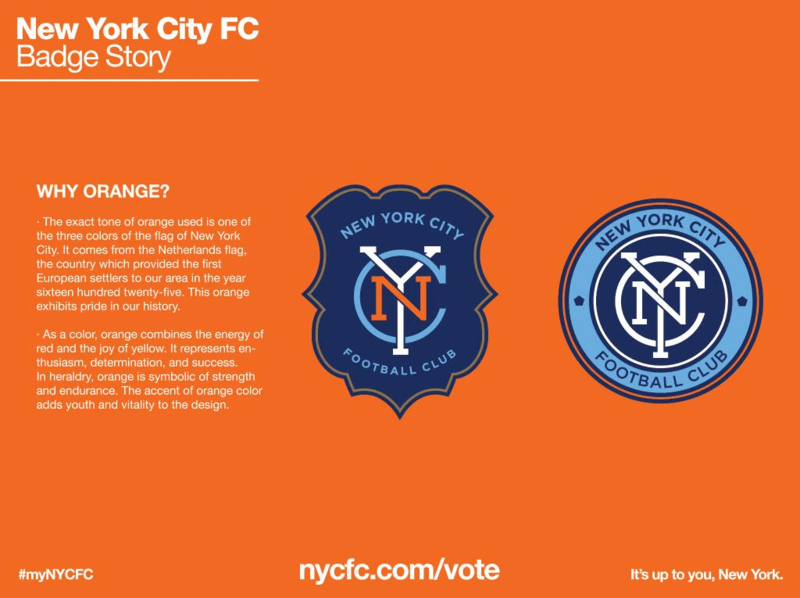 I'm very much hoping that NYCFC eventually treats orange the way the Yankees treat red; a featured element in the logo and some merchandise, but almost (if not totally) absent from the uniform itself. As the club will presumably use gold, if the shield design is chosen. I am glad that, either way, we're getting an interlocking monogram. I am a huge fan of Rafael Esquer's "Made in NY" logo. Since 2005, it has been used to promote film and television production, the digital and startup industry and theatrical production created within the city. Esquer's design is simple yet effective, works at any size from internet icon to billboard, and stands out in all contexts. Simple and iconic, my own personal hallmarks of good design. I've seen it everywhere from film credits to tshirts. It's fitting that NYCFC, with its emphasis on the five boroughs, would choose its designer for their crest. Each of these two possible badges are (of necessity?) more complicated than the "Made in NY" mark, but still carry the same strong shapes. I'd like to see Esquer's "NYC" monogram used on its own, without the circle, as a secondary logo. When it comes down to my vote, there's no question. I much prefer the distinctive shape from the city's seal, but I can't stand the multicolored monogram. For that reason alone, I have to go with the circle. Now it's your turn. Go make your voice heard.